Welcome to another Cartridge Showcase! I hope you all had a great weekend and maybe even got in some crafting! Today my cartridge showcase if with one of my all time favorite cartridges, the Teresa Collins Imagine Baby Boutique cartridge. I absolutely love anthing Teresa Collins and her cartridges are all my favorites! I love this cartridge because it's so versatile. You do not need to use it for baby projects, although it would work perfectly on those if you'd like. My three projects that I made with this cartridge were for my daughter's birthday party back in July. For the first project, I decided to make a banner, I love banners and I also love to hang them by our fireplace for my children's special day. I like for them to have a little something extra around the house to celebrate their birthdays. For this banner I took the scalloped image from the baby boutique cartridge, printed it out large without the crown(around 4"), then cut out the letters with the Storybook cartridge. 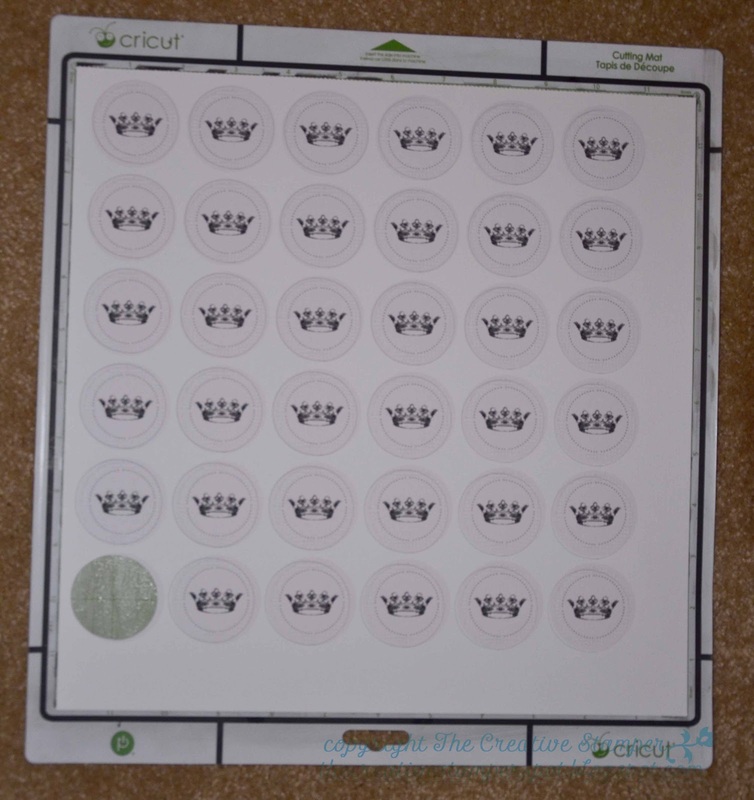 The little crowns were also cut out using Baby Boutique. The second project was also made for the party, I made little cupcake toppers with the same scalloped circle and crown as the banner but in a much smaller size. These were so easy to make! I just filled the page on my Imagine, print and cut them, then used a glue dot to adhere them toothpicks and stuck them into the cupcakes. Super easy and so cute to do! The top one was an image I used from her invites HERE, with a Barbie Image and that was the theme of the party. 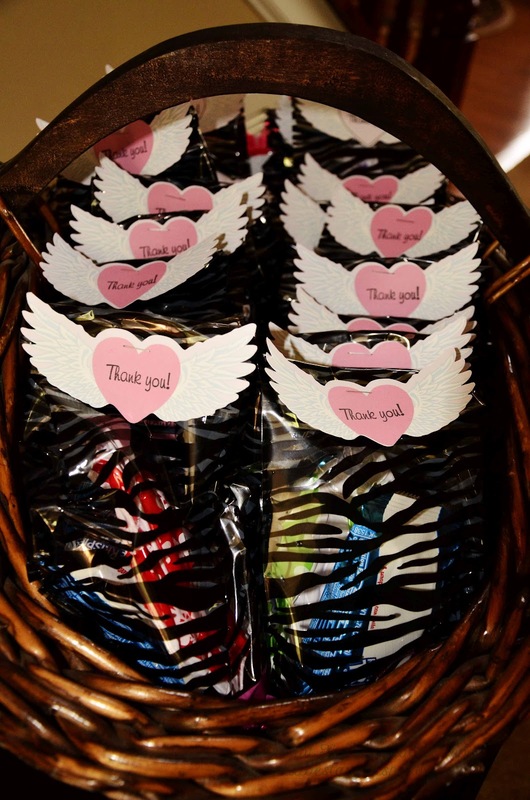 The third project from the party was these cute little wings with hearts I print and cut from the Baby Boutique cartridge to use for the treat bags. Again, super easy! I just print and cut, then stamped Thank you onto them, stapled them to the cute bags and was done. Here's a photo of Teresa and I from a class I took that she did recently here. She was so sweet and I was so honored to meet her! She is just the best. If you haven't had a chance to check out her products, you definetly should. Her designs are classic yet very much fit with the current styles. Thank you for checking out my post today, I hope you will come visit me at my blog today as well! That must have been one FUN party! And what a lucky little girl! 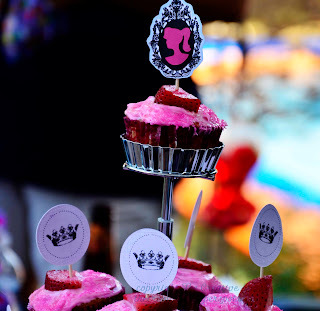 If you want to throw an awesome party like Chef Jessica, head on over to her blog! 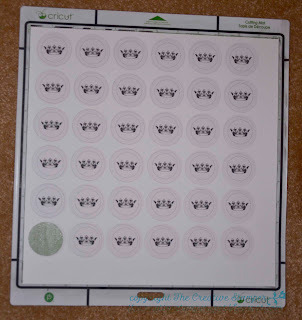 Don't forget about our two current challenges: Our Die Cut and or Stamp Challenge and our Cricut Challenge! Just cick the links at the top to join the fun!